Tuesday, 30th June 2015 – Secret Cinema reveals that the first Secret Cinema X event, which took place on 28th – 29th June, hosted 2 special preview screenings of Asif Kapadia’s critically acclaimed documentary AMY, which will be released in cinemas 3rd July 2015 courtesy of Altitude Films. THE WORLDWIDE BOX OFFICE BLOCKBUSTER BRINGS THE FRANCHISE TO NEW GRAVITY-DEFYING HEIGHTS IN THE BIGGEST, MOST HEARTFELT & ACTION-PACKED RIDE YET! Fast & Furious 7 is out on Blu-ray™, DVD and Digital HD on 7th September, 2015 from Universal Pictures Home Entertainment. 4 stars for this fantastic forties romantic comedy. A Letter To Three Wives is brought to us as part of the Masters of Cinema series #114. Originally released in 1949, it was a spectacular success, nominated for Best Picture Oscar and earning director Joseph L. Mankiewicz (All About Eve, Guys and Dolls) Academy Awards for both Best Director and Best Screenplay. 5 Star Small Screen Magic. 4 Star Hapless Soldier Fun. 5 stars for this imaginative anime style CG web-series. 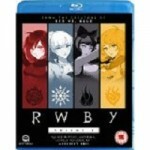 RWBY is brought to us by Rooster Teeth, the production team behind the internet sensation Red vs. Blue. It was created by Monty Oum (Red vs. Blue, Afro Samurai), and originally released as a Youtube series of 10 episodes. 4 stars for the climax of the story of Kageroza. 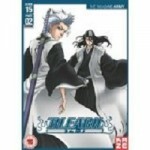 Bleach Series 15 Part 2 has had the Funimation treatment and is now available in the UK. 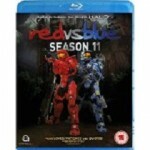 It concludes the Invading Army arc and comprises episodes 330 – 342. This follows directly from the events of the previous series so the usual spoiler alerts apply.